It appears we are expecting a fairly large litter of puppies! By the size of Cruz, she probably is having around 8 and she still has almost 3 weeks before the whelping! I hope she doesn't have more than is healthy for her. But that's where I come in I guess. She is due in January on the 15th. Please send your thoughts and prayers for an easy delivery and for the health of Mom & pups. Congratulations to all those who have a deposit in! You are the lucky few! Cruz was bred to Rommel and we are hoping we will be welcoming a precious litter of puppies into this world around January the 15th. All we can do now is wait and see if we will be blessed. Keep your fingers crossed everyone! I had an idea several years ago. I love my dogs sitting on the couch with me. But they were so hard on the leather with their nails and dirt. One day I was looking at the couch remembering the salesman stating how thick the leather was. You could purchase couches depending on how thick the leather was. With thicker being more expensive. It occurred to me "why don't I just get more leather?" I went to Tandy's leather shop in Calgary and bought 2 full pieces of tanned hide that were on sale for half price because they had a few imperfections. I could have bought colours that matched the couch if I had gone back from time to time or if I wanted to pay full price but considering the long drive I opted for the lighter colour. I've had these covers for about 3 years now and they are standing up well to the abuse. I pull them off when company comes and my couches look good underneath. And it only cost $150. Zulu Graduates Intermediate Obedience ! My sincere apologies for those people waiting to hear back from me. Somehow I ZAPPED my computer with static electricity and everything went black!! Not a good feeling! I had to take it in to the Geeks at Best Buy to have them recover everything I had on my computer. So it's been almost 2 weeks since I've replied to anyone so my deepest apologies. Thank goodness I had my back up drive hooked up and up to date when it happened! Otherwise everything would have been gone. A very scary feeling. I just sat down at my desk and reached over to adjust my screen and ZAP! It got me pretty good but I was less worried about the pain as I was when I saw everything go black! But we are now up and running again so I should be able to catch up with the emails. Feel free to send me another email if you'd like. But theoretically they should all be in my inbox now. Hope everyone is having a great winter thus far. It's been crazy warm here so I'm definitely okay with that! This Makes Me Sick! Horrific!! 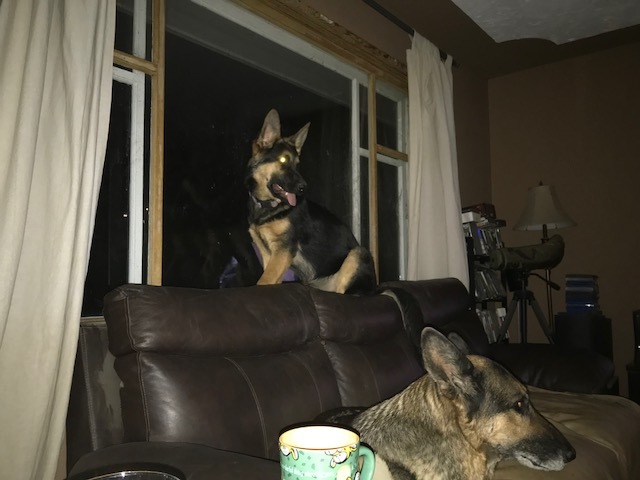 I was browsing through the dogs for sale section in the GSD World classifieds. This puppy from Serbia was shown to be the excellent puppy from a previous litter. They were selling the dam. It's the most disturbing dog thing I've ever seen! Ok. I'm used to having dogs on the couch but this is ridiculous! I can't believe the internet ate my post! It was over 1000 words long and it's just gone. My puppies are expensive. I don't deny that. Or apologize for that. Most often I find the man of the couple hesitating the most. Just like what happened today. A very nice couple came to meet the dogs (and me I suppose!) We spent 2 and a half hours talking all things dogs. We had a great time reminiscing about dogs previous, told stories about dogs current and what we wanted in future dogs. A lovely time was had by all! Near the end of the conversation, the gentleman said to me, "When my wife told me yesterday how much your puppies were I was shocked! I really wasn't interested in spending that much money. But now, having met you, and met all these wonderful dogs, I understand completely why you ask the price that you do. I am absolutely comfortable purchasing a dog from you at that price." I'm paraphrasing. That sentiment is echoed time after time, after time. You don't know how great these dogs are until you come and see them for yourself. And you don't know how much knowledge I have to share after being in the dog industry for almost 50 years! (In case you're trying to do the math, I started training dogs when I was 11.) You don't know how passionate I am to make sure you get the exact dog that will fit perfectly with your family. If it's not the perfect match, I won't sell you a dog. That's it. Plain and simple. I don't want your money. I want a perfect match. I need money to care for my dogs. Those that have been here know I live in an old farm house and drive an old Jeep. And my visitors were surprised today when I told them my dogs can eat 500 pounds of dog food per MONTH! And then add in the expense of bringing in new dogs from Europe for tens of thousands of dollars, each, so that my breeding lines remain pure working lines so I can provide you with the best dog I possibly can. But I've gotten off track here. I can list a whole bunch more expenses but the point I was trying to make was, my dog's are absolutely worth every single penny and more. 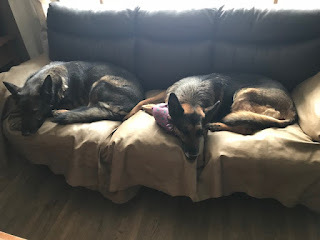 And the really cool thing about all this is, not only do people agree with me about how great my dogs are once they come and visit, but owners still agree with me years down the road, when their dogs are geriatric and still going strong! I'm so proud of my dogs and all they have become and all they have accomplished. Therapy dogs, SAR dogs, family dogs that have literally saved their families life and even one dog who saved the life of a complete strange by taking on a bear in full charge! I couldn't be more PROUD! Cruz has finally come into heat. Last year she was bred Oct. 31 and she is just starting into heat now. That means she's almost a month later. 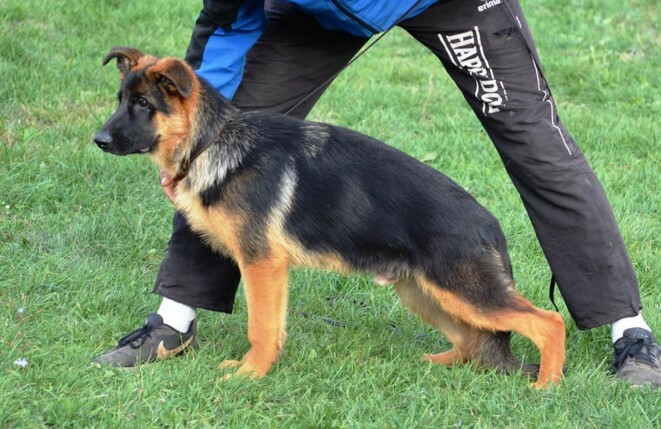 Hopefully she will be standing for Rommel in the next 7-14 days. Keep your fingers crossed everyone! For those who missed out on getting a deposit on this litter, I hope to be breeding Nova a little later with puppies arriving in late Spring. Little by little things are getting finished in the puppy building. The love seat and chair were donated by my son and his wife. These photos are taken from the dogs point of view. The puppies start life in the house. At the age of 4 weeks they need more room to build muscle and coordination so we built them this beautiful place. At 6 weeks they move to indoor/outdoor facilities to accustom them to the sights and sounds of the great outdoors! For those of you who have noticed a distinct lack of emails lately it's because we are putting a major push on getting the new dog fence erected. For those who have been here you will have noticed that Merlin's fence was a patchwork quilt of repairs. Something I was always embarrassed about. That yard was built over 30 years ago and has been housing different dogs throughout that time. Some leave the fence alone while others make it their mission in life to destroy it! So I am EXCEEDINGLY HAPPY to tell you that it has all been replaced with brand new fencing! Woohoo!! 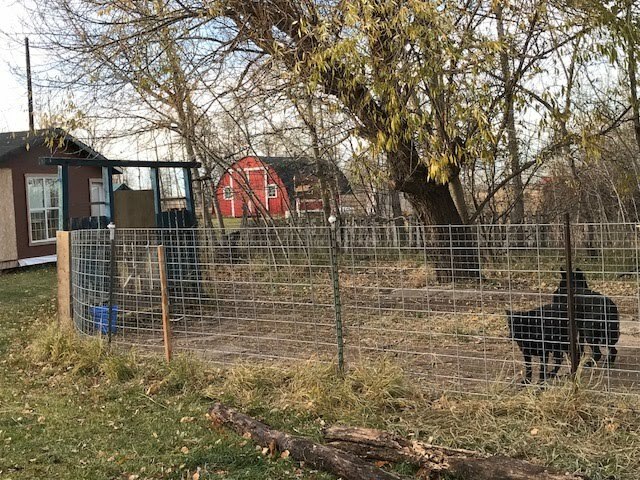 A safe fence for dogs on both sides. I no longer have to be embarrassed. Slowly but surely we tackle the jobs one by one. There is still other fence I'd like to replace before winter hits but now I need to stop and catch up with my emails. I wish there was two of me!! 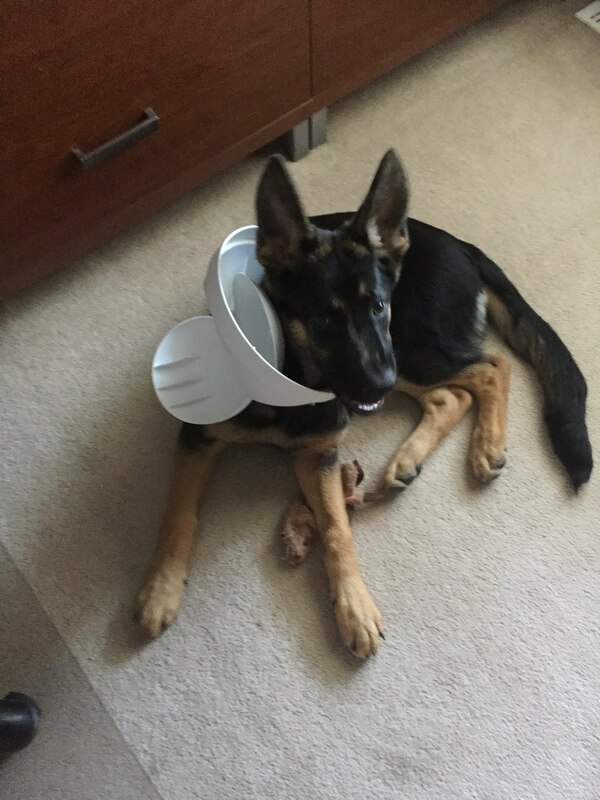 Lexi Found the Laundry Room Garbage! A Most Wonderful Reference Letter! 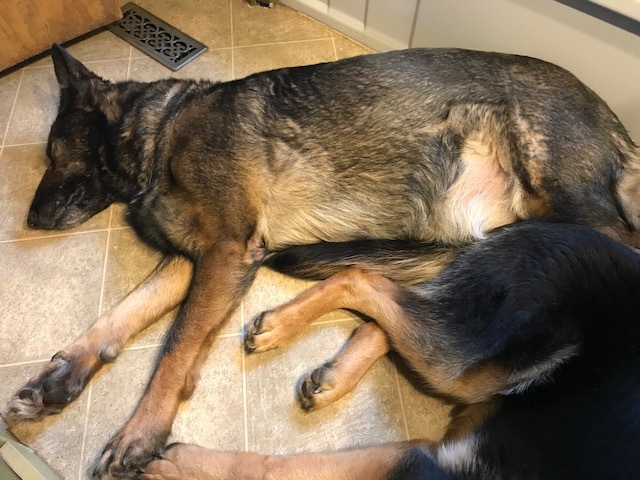 If you are considering bringing a German Shepherd puppy into your home and family, you need look no further than Guardian Angel Shepherds. My relationship with Guardian Angels and Mary Ann Marcellus began in 2005. 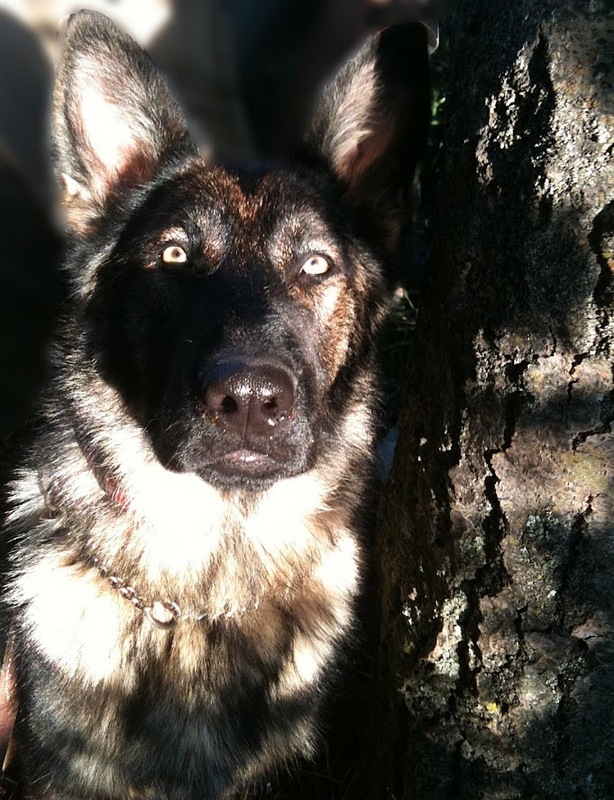 I had grown up with German Shepherds as a child but had never owned a dog as an adult. I had decided that it was time for me to add a dog to my life and a German Shepherd was the only breed I was interested in. I looked at several organizations and breeders and after extensive research, I decided upon Guardian Angels. Getting a puppy from Mary Ann is not an easy process. Mary Ann truly views each of these puppies as her own and cares deeply that they go to the right 'forever' home. I filled out a questionnaire and went through an extensive interview process. Never having owned my own dog before, Mary Ann wanted to make sure I was up for the challenge of owning one of her puppies in terms of my abilities, my attitude, my commitment and the environment. I remember the litter had both sable and black and tan puppies. I specified that I wanted a black and tan female puppy. 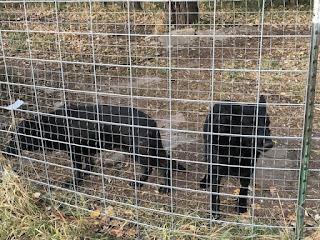 Although my request for a female was not a problem, Mary Ann informed me that she very carefully assesses the puppies skills/attitude against the prospective adoptive 'parents' and assigns puppies based on the best match better the puppy and the people. I was a bit disappointed when she called me to say the puppies were ready to go home and that she had designated Miss Light Green to me. Miss Light Green was a sable Shepherd. Off I went to see the puppy and of course, each puppy was adorable so off we went home. Miss Light Green became Shiloh and she very quickly became the love of my life. She was beautiful (we very seldom went anywhere when people did not comment on how beautiful she was), she was extremely bright, she was the kindest soul and she made my life whole in ways I could not have imagined. When Shiloh was four years old, I discovered a small mole-like blemish on her nose. We went to the vet and thankfully, I have a vet who is very thorough. Although she believed it to just be a skin tag, she did a biopsy. I was devastated when I got the call that the biopsy was positive for canine melanoma. One of my first calls was to Mary Ann to tell her what was going go. I was so extremely grateful for Mary Ann's support and guidance throughout the surgery and post-surgery procedures. I was blessed that this was caught early enough. That goes straight to being a responsible pet owner and identifying there was an issue and seeking the guidance of a competent and caring veterinarian who was willing to do the necessary test even though her initial suspicion was that it was nothing serious. Thankfully, Shiloh and I had nearly 8 more years together. I celebrated each year of she and I being together and sent regular updates to Mary Ann because I never ever forgot that she was the reason I had been given this most amazing gift. In December of 2016 I had to make the worst decision I will ever have to make. Shiloh was the ultimate companion right up until she took her last breath. She filled my life with laughter, loyalty and love each and every day and her loss rocked my world right to my core. I was convinced I could never survive that kind of loss again and had made the decision that I would not have another dog. However, after seven months, I could not stand the lack of energy and companionship that only a dog can provide so I made a call to Mary Ann. There was no other place I would consider. I truly believe the timing of my call was a bit of divine intervention as Mary Ann had just decided that she was only going to keep one of the two females she had initially planned to keep for breeding. After 12 years, I made the trip back to Guardian Angels and met Miss Red. She stole my heart immediately and Miss Red is now Lexi. This adorable little bundle of energy is gorgeous, smart and lovable and my home and life are once again full and happy thanks to my second gift from Mary Ann Marcellus. 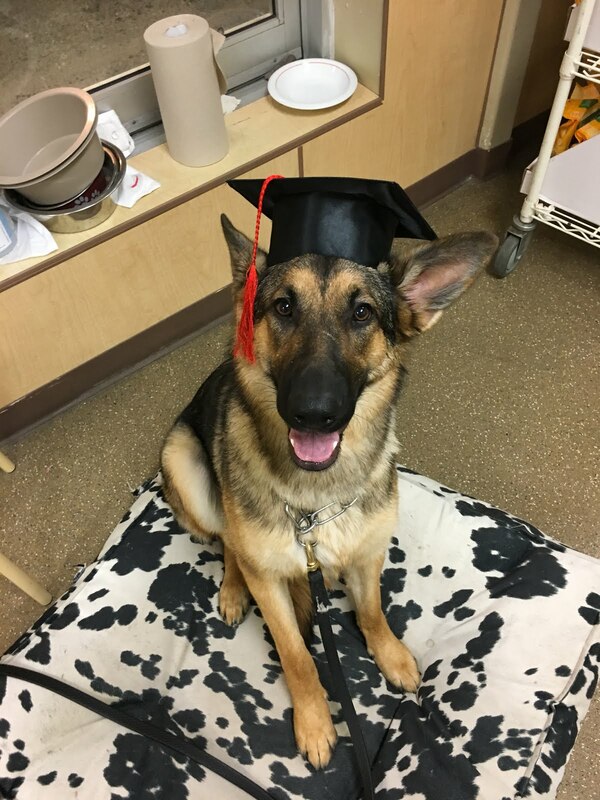 If you have made the decision to get a German Shepherd and your search has led you to Mary Ann and Guardian Angels, congratulations! You could not have made a better choice! K9 Partnership sent you a video: "Teaching a Puppy Nail Trimming"
A training video on nail trimming. First, I apologize for my appearance. Working with 11 dogs, you forget at the end of the day how dirty you get. I thought about redoing the video but it worked out so perfectly. So my apologies. Trinity, my almost 4 month old puppy is very high energy and she has a mind of her own. She is not one to sit still. Here I teach her how to calm herself and that nail trimming is a good thing. I hope this helps you. Remember, patience is the key! Happy dog training!